The weekend is here and it's time to make some plans for the next days if you don't have any so far. If you don't mind about the weather and still want to be outside to enjoy the bright summer nights then you should head to Allas this weekend. 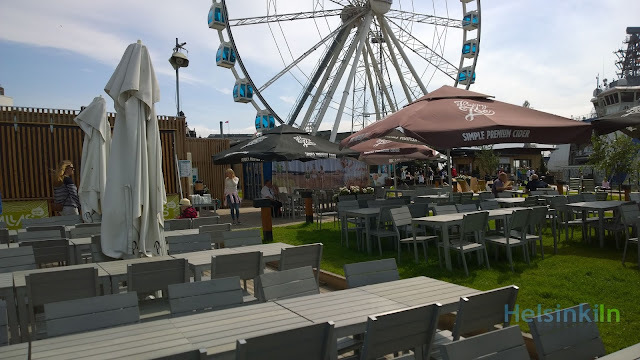 The pop-up terrace right below the Finnair Skywheel is the ideal spot to hang out with a drink in your hand and a wonderful view over the sun slowly setting over the city. And Allas has more to offer. On most nights such as today and tomorrow DJs will take care of the music. So give it a try if you dare and have a great weekend!